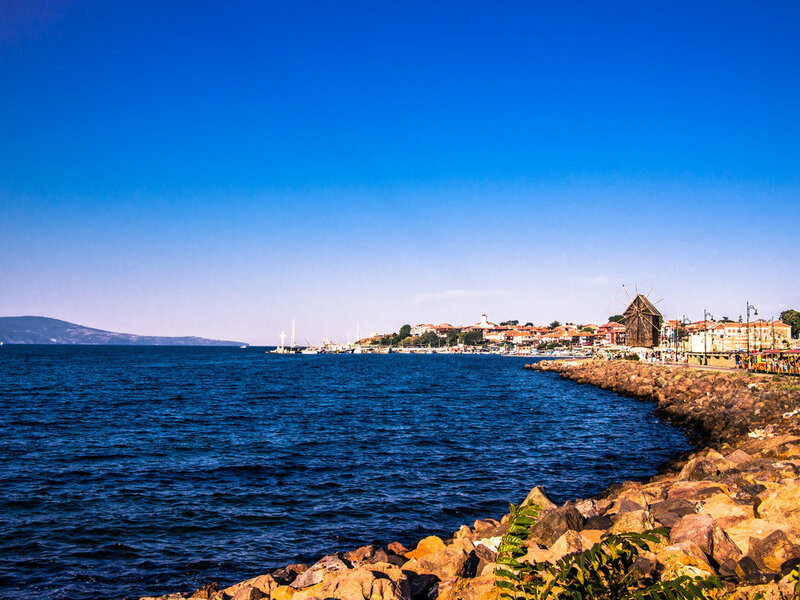 Situated on the Black Sea coast in Bulgaria, the city of Nessebar has more than 3,000 years of history. It was first inhabited by the Thracians, then it became a Greek colony, then later it was conquered by the Roman Empire and finally in the 9th century became part of Bulgaria. It’s UNESCO-protected, with remains from all those civilizations scattered and visible throughout the city – from ancient fortifications and medieval churches to 19th-century wooden Bulgarian houses. When it comes to beaches, there are three in the city itself – one in the ancient city and two in the new part. Four kilometers away is the most famous Bulgarian sea resort and party destination: Sunny Beach. There are also some less-crowded beaches nearby if you’re not looking for endless party nights – Arapya, Varvara and Silistar just to name a few. Another town on the shore with a lot of history, culture… and cats. Yes, Kotor is a cat-lover’s dream, with many furry animals walking freely on the streets waiting for human affection, souvenir shops full of cat-inspired art, and even a cat museum. 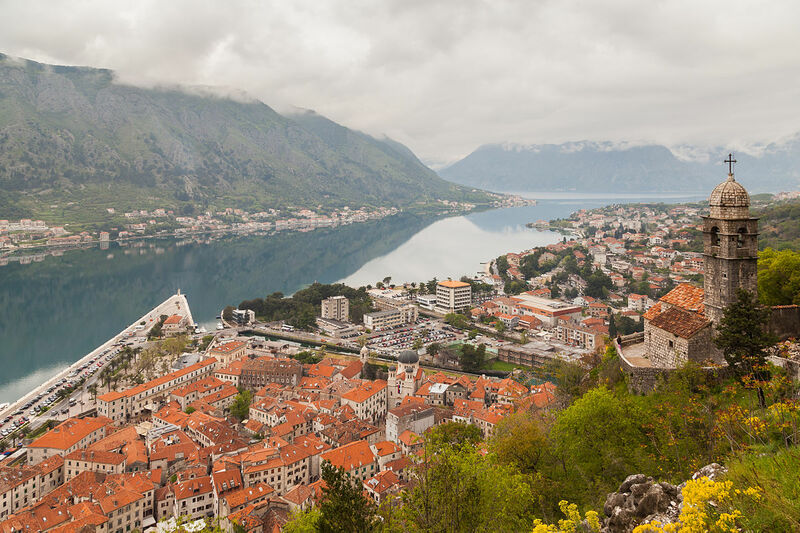 Kotor has one of the best-preserved medieval old towns in the Balkans. After walking its cobbled streets you can hike up to San Giovani fortress, which dates back to medieval times and has been used to protect the town by all who have ruled over Kotor, including the Byzantine and Venetian empires. 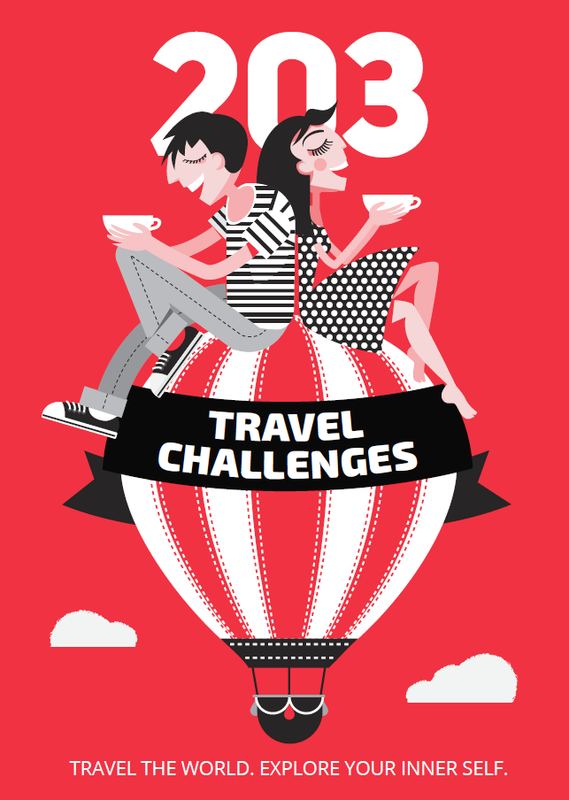 Nowadays its main purpose is to give you some breathtaking views over the town and the bay. It sure does that well. Though the town itself is not your classic sandy beach destination, it is less than 15 kilometers from Plavi Horizonti beach – one of the best in Montenegro. When it comes to delicious Mediterranean cuisine, some local specialties include thick fish soup and njoke (a gnocchi-like pasta dish). Often described as mini version of Dubrovnik, the town of Korčula is the main settlement on Korčula island in southern Croatia. 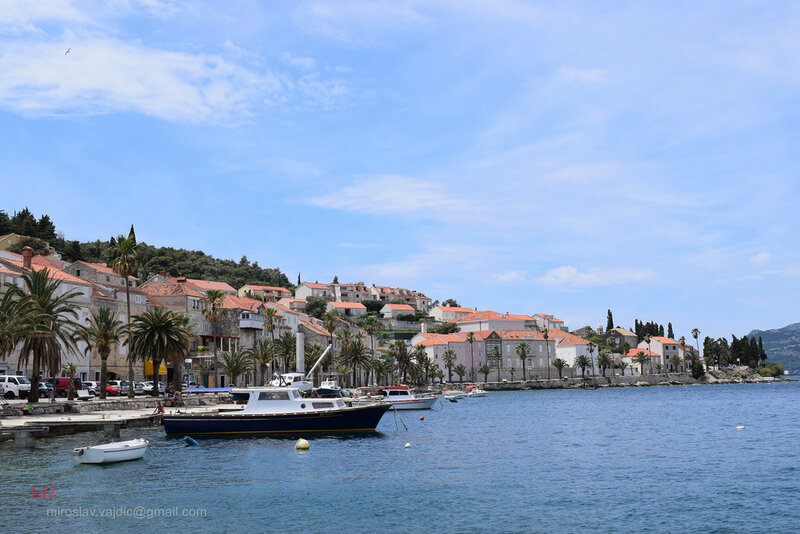 Korčula was once ruled by the Venetian Empire, whose impact can still be felt mostly in the old quarter, which takes pride in its rich collection of medieval art and architecture. The whole old town is surrounded by high stone walls and towers that once defended it from enemies, and are today among the town’s tourist highlights. Korčula is believed to be the home town of Marco Polo, and the house in which he is thought to have lived is open to visitors. 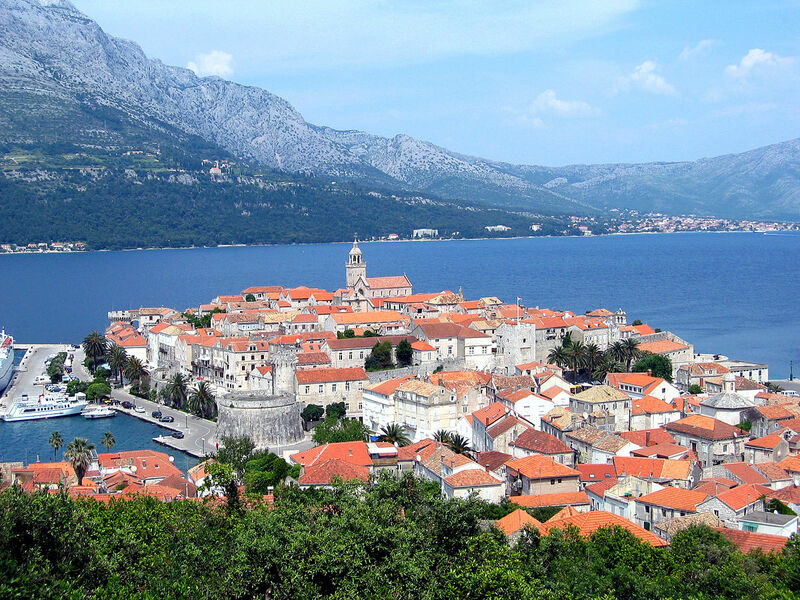 Another thing Korčula is famous for is moreška – a type of dance with swords. It represents a fight between white and black knights for a woman – Bula. In the past this art form was popular across the whole Mediterranean, but today it is preserved only in Korčula. Coast-lovers can choose between some pebble beaches – like Banje or Zakerjan – or sandy beaches like Luka Korčulanska. Saranda and Butrint are two coastal towns in southern Albania – 20 kilometers away from each other. The first one, Saranda, boasts some of the best beaches and turquoise waters in Albania – varying from hot tourist spots to more secluded hideaways. The town is located opposite the Greek island of Corfu and there is a ferry running frequently between both. 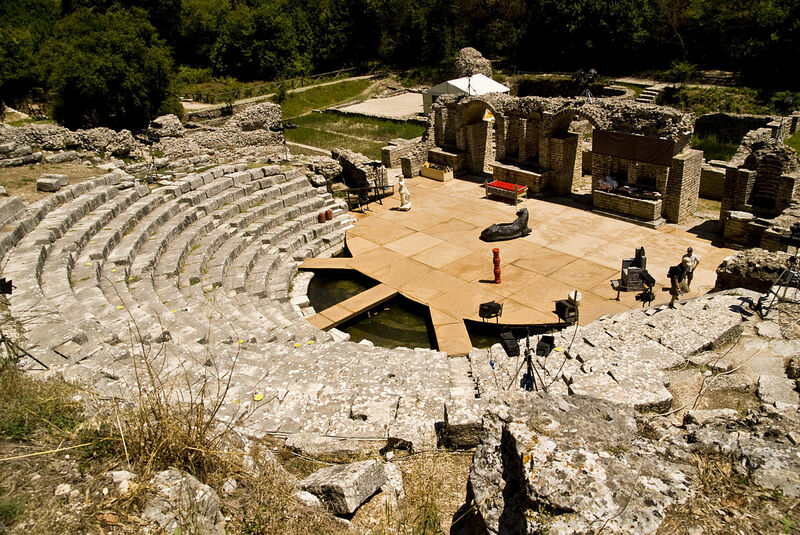 Butrint is a millennia-old town that has been inhabited by both Greeks and Romans throughout its history. The ruins in the old town are UNESCO-listed and include an ancient Greek theater, public baths, a Palaeo-Christian baptistery and a massive Cyclopean. From the top of the hill, where the acropolis once loomed, you’ll be rewarded with a great view over the town and the surrounding nature. Koper is the largest coastal town in Slovenia, as well as the oldest town in the country. It was part of the Venetian Empire, whose influence can be felt in the old town, the undisputed sightseeing highlight of Koper. The pebbled Mestna beach, as well as the local marina, contribute to the charm of the town and make for a delightful trip.